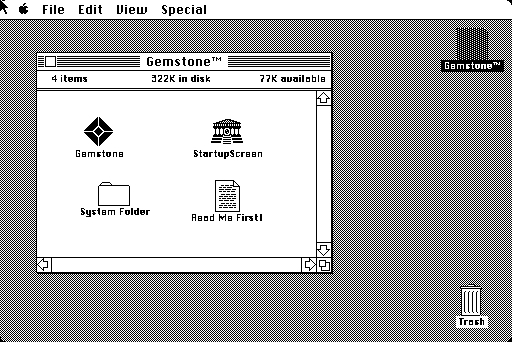 The first set of emulated Macintosh software is located in this collection. This is a curated presentation of applications, games, and operating systems from 1984-1989. While it is a (warning) 40 megabyte download, this compilation of System 7.0.1 includes a large variety of software programs and a rather rich recreation of the MacOS experience of 1991. This entry was posted in Computer, Hardware, Murmuring, Software and tagged apple, archive, emulation, internet, mac, macintosh on April 29, 2017 by Gea-Suan Lin.